"He is excellent in his craft and the way in which he tells you the truth." "He was very caring throughout the whole process. Dr. Brauman is extremely passionate." "His medical knowledge is super, and his skill as a plastic surgeon is top of the field." "He is very attentive to your needs very professional and excellent bedside manner." " Already booked for another surgery! Highly recommend him." "It's been such a positive experience and am so glad I met this doctor and his staff." Dr. Daniel Brauman is an internationally known Plastic and Reconstructive Surgeon. Appointed to the American College of Surgeons he serves as a Governor of the College. His contributions to Plastic Surgery include the development of a new Abdominoplasty (Tummy tuck) technique (published 2003), which has changed the way the procedure is performed the world over. Dr. Brauman continues to introduce new concepts that are changing the thinking of plastic surgeons in this field. 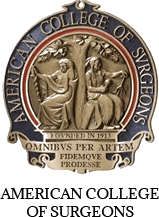 Dr. Brauman belongs to a select group of expert senior surgeons who have amassed experience in multiple fields of surgery ranging from trauma and vascular surgery to reconstructive plastic surgery, microsurgery, and hand surgery as well as cardiac, orthopedic and neurosurgery. 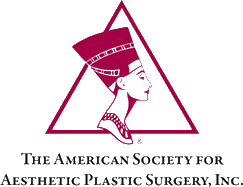 Double board certified in Reconstructive Plastic surgery (1983) and General Surgery (1980), Dr. Brauman committed his practice exclusively to Cosmetic Plastic Surgery. His wide-ranging contributions to the art and science of Plastic Surgery include the development of a new Tummy Tuck technique; the minimally – Invasive; Liposuction Abdominoplasty (published 2002, 2003, 2009, 2010), that changed the way the procedure is performed the world over. A unique Eyelid Surgery – Blepharoplasty technique that restores eyelids and cheeks to their more youthful self. A revolutionary Anatomical Liposuction technique that corrects irregularities (published 2000, 2009) used the world over. Pioneering Fat Injections – Grafting techniques (since 1985) and Contouring Facelift and Breast augmentation, uplift, reduction procedures developed over the years with a distinctive approach that characterizes the many diverse facial and body procedures he is an expert in. Dr. Brauman is the Inventor of the specialty type of breast implant that help prevent “capsular contracture”, the hardening of breast implants. 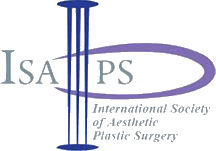 The worlds’ two largest manufacturers of breast implants Allergan and Mentor recognized Dr. Brauman as leader in implant technology for the benefit of people worldwide. Dr. Brauman was granted Five US and European Patents. Pressing the College of Surgeons for Ambulatory Surgery Guidelines, Dr. Brauman relies on 35 year experience of safe non-invasive ambulatory care protocols and techniques he developed. He performs All surgeries (including abdominoplasties combined with liposuction and breast surgery), Painlessly, under Sedation and Local Anesthesia, (without general anesthesia), as ambulatory procedures (published 2009) without anesthesia complications or DVT. Dr. Brauman believes that performing varied procedures of the face and body inspire inventiveness allowing new concepts and ideas to emerge. Conversely, a practice restricted to a single procedure would be repetitive and stifling. 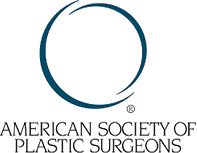 A known and respected Plastic Surgeon, he is on faculty at Weill Medical College of Cornell University, and has served on the Board of Directors of the American Cancer Society-Westchester. An Authority on Medical Biomaterials he was asked to serve as an Expert Consultant to W.L. Gore (makers of Gore-Tex) for the medical applications of Gore-Tex. "The Dr. and his staff were very professional and caring. I called them every week for the first couple of weeks after my procedure with questions." "Dr Brauman and his staff are very professional, warm hearted people that are always ready to help or answer any concerns!" "Searching for plastic surgeons wasn't easy until I found Dr. Brauman. The augmentation has made me more beautiful and it's made my husband happy too." "I had a very good experience and very good results. I am pleased!" "Amazing results and tremendous improvement!" "I was so impressed with his knowledge and explanation of the procedure that I booked my surgery that same day! I had my eyes done and I am so happy with the results." "Dr. Brauman is the very best!"